Throughout history there were many different people that used eye patches. Soldiers and sailors were some of the most common people to be seen sporting one, normally to cover a battle wound. Aircraft pilots in the past were also known to use them in order to help preserve their night vision during battles. Now, the most common and stereotypical user of the eye patch was, of course, the dreaded scoundrels of the sea, the pirates. 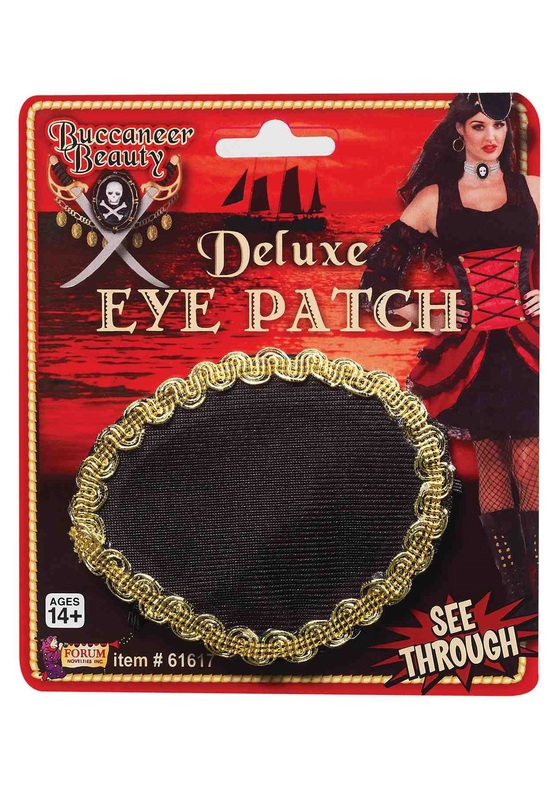 You'll look like a fierce yet fabulous rogue pirate with some mystery behind her eyes...or eye, when you wear this Deluxe Pirate Eye Patch. Do you need this eye patch because you lost an eye in a savage sword battle with Captain Hook or maybe you use it as a tactical advantage when taking over enemy ships? Well, that is up to you while you tell others your tales of being out in the open seas. Whatever you decided to tell all your curious onlookers, this eye patch will be a great addition to any pirate costume!